The EU yesterday (14 April) called “extremely worrying” the decision by the Russian authorities to suspend the activities of Mejlis, a self-governing body of the Crimean Tatars, and called for the decision to be reversed immediately. The Russian authorities in Crimea on 13 April banned the Mejlis, a respected decision-making body of the Crimean Tatar minority on the Black Sea peninsula that Moscow annexed in March 2014. The Mejils have resisted Russian rule and operated under pressure, with many key figures banished from the region. 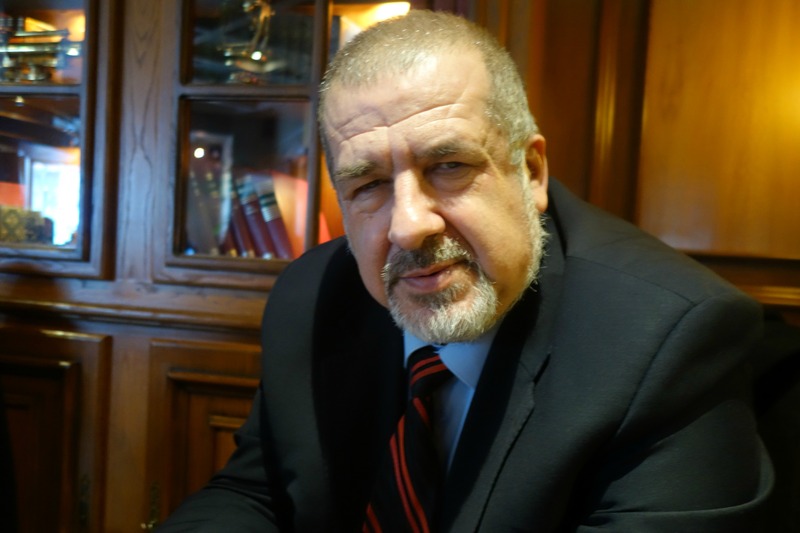 Like Stalin, Putin views Crimea’s Tatars as a threat, and is sowing fear in the peninsula’s population, to help facilitate their ethnic cleansing, Refat Chubarov told EURACTIV. The Mejlis are “banned from using all state and municipal media, hold mass events, use bank accounts and carry out any activities,” she wrote. The organisation has represented the Crimean Tatars, a Muslim people native to Crimea who were deported under Stalin and only returned to the peninsula in the 1990s, since it was founded in 1991. It added that the Crimean Tatars have “borne the brunt of Russia’s clampdown in the region,” with at least six people disappearing and one found dead in 2014. Russia has prosecuted several community leaders for a rally that took place prior to annexation, charging them with terrorism in February. A prominent Crimean Tatar channel ATR was forced off the air last year. The Council of Europe, an international rights body which works closely with the European Union, also voiced concern. “I strongly urge that no action is taken to restrict the Mejlis’ activity or to label it extremist,” said the Strasbourg-based body’s secretary general, Thorbjorn Jagland. “The Mejlis must be able to continue its activities in Crimea. The human rights mission I sent to the peninsula in January raised this issue and I immediately expressed my concern to Foreign Minister Lavrov.